Parsons is pleased to announce that it was recently selected by the Roads and Transport Authority (RTA) to perform infrastructure design services for the Dubai Water Canal Project. Planned to be a major tourist destination, the Dubai Water Canal will include a new shopping center, hotels, and restaurants, in addition to luxury housing and cycling paths. It is expected to provide new areas for public places and facilities, as well as private marinas for boats and a new trade center at the canal’s entrance. A Parsons joint venture was selected by RTA to perform construction supervision services for the Dubai Water Canal Project earlier this year. 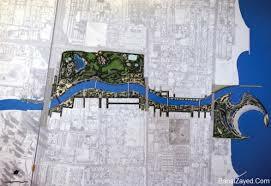 Once completed, the project will add 6 km to the Dubai waterfront and will attract many visitors. Parsons has been working in the MEA (Middle East Africa) region for more than 60 years and has offices in the United Arab Emirates, Oman, Qatar, Saudi Arabia, and Bahrain. Parsons’ portfolio of ongoing projects in the MEA region includes major highways, bridges, rail and transit, airports, ports, water infrastructure, plus hospitals, public schools, universities, mosques, and other public buildings. Are We Planning Cities Just for Hipsters?